Debe realizar reservaciones con al menos 5 minutos de adelanto en La Rotunda Casa Italiana. La Rotunda Casa Italiana es un nuevo restaurante italiano situado en el emblemático edificio North Rotunda. Starter and Main £11.95 or 3 courses £14.50Not available in conjunction with any other offer. Términos y condiciones: Maximum of 6 diners. Includes Tax, excludes service. From a set pre concert menu. Not Available In Conjunction With Any Other Offer. LOVED IT!!!! I went to have dinner with my familiy and the service was great, staff was very kind and the food was delicious. You also get a great view outside the restaurant. Great restaurant, very handy for the Hydro. Food is delicious and the staff are fantastic. Highly recommend. It’s always great when we come to eat before a concert . It sets the tone for the rest of the night . Thanks again . Yours Stewart. The staff were so friendly, helpful and attentive. 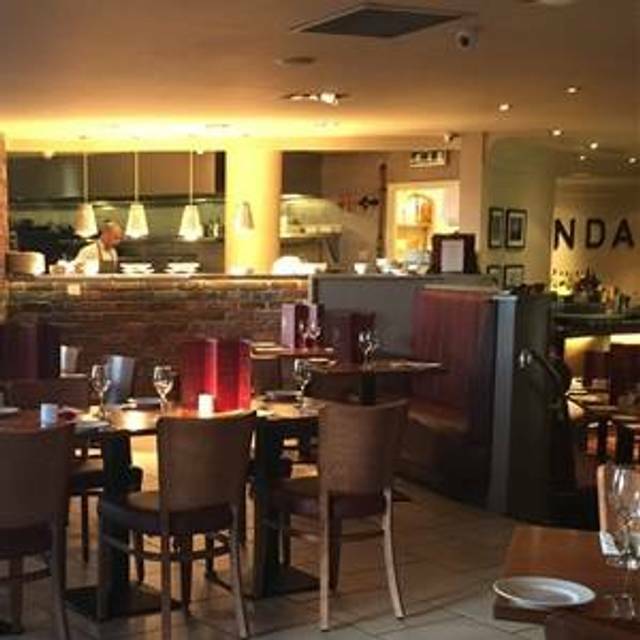 It was a very relaxed atmosphere the duck and orange pate was excellent as was the Lombardi pizza and the salmon al forno was cooked to perfection the kids menu has a great choice my daughter had the chicken strips and fries which were delicious. Overall a great dining experience will definitely be back and would certainly recommend to anyone. We booked a table for Saturday 13th April following the Disney on Ice show at the hydro. I liked the customer service from the outset, from being able to book a table online and then getting an email prior to the day to check we still required the table to being able to park for free due to using the restaurant made the day so much easier. The restaurant was very busy and therefore service was slow but the staff were very friendly and the food was delicious. Great value for money. Would definitely recommend! The staff were absolutely fantastic with my little girls milk allergy. Thoroughly checked everything with the chefs and offered alternatives that were off menu. In particular the male waiter with the grey shirt and the female with blonde hair. They went above and beyond sourcing some strawberries for her dessert so she had her favourite. Very much appreciated. 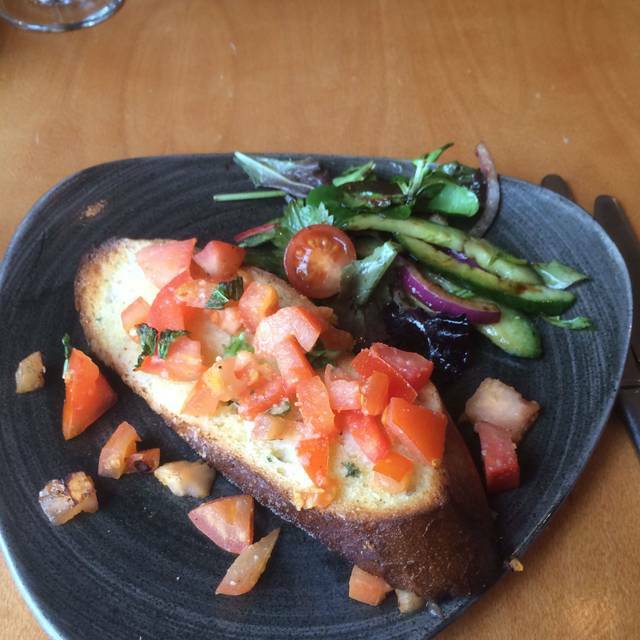 Staff were all very helpful, food was well presented, very flavoursome. Good choice and value on pre-concert menu. Parking options great for attending hydro afterwards. Visited pre concert at Hydro which is only 2 minutes walk. Free parking for duration of meal and show which was a huge positive for being able to leave quickly at end and not get caught in traffic. This was main reason for booking but made even better by the fact that the food was delicious and good portions. Service also good. 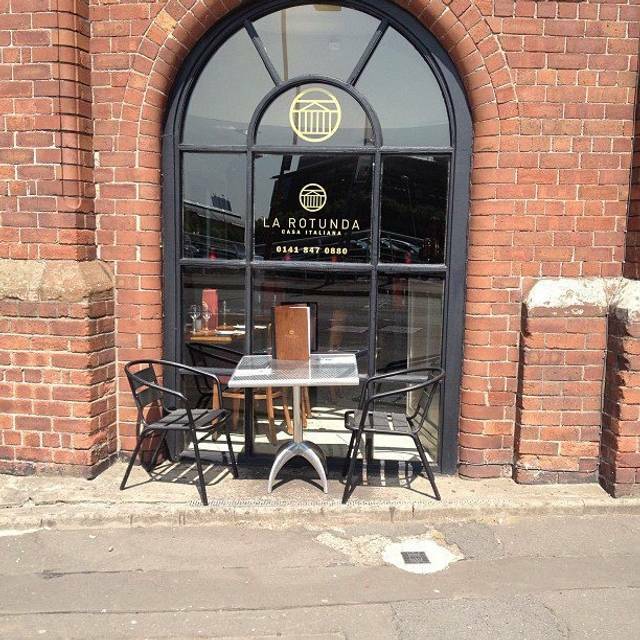 Cannot fault the experience and would highly recommend la rotunda. Limited pre theatre menu. I would have liked more choice. Starter portions were small but adequate. We both had pizza. It was good. Desserts, again limited choice, were nice. Very attentive staff. Very handy for the sse hydro. Portions need to be slightly bigger. Although was really good. Seating arrangements are a bit cramped. Not very clear which items are gluten free and my wife was mad to feel like she was a bit of a nuisance. She is Celiac. Great service and lovely food. They even adapted the menu to fit our requirement. Nothing was too much trouble. Waited over half an hour for a burnt lasagne and cold fries. Was disapointed. Usually love it here. Pizzas were greasy and limp Service slower than usually. Hopefully just a one off. We had a wonderful meal.All the staff were excellent very attentive and helpful, nothing was a problem. Restaurant was very welcoming, not too noisy. Booked table. We were early and table was ready. Service was speedy. Food was delicious. Will be back. First visit to the restaurant and will definitely go back. Lovely place and great good and service. Pizza was worst I have ever tasted. Parmesan and prosciutto- should have been lovely! Chicken dish was also very disappointing. Menu had very poor selection. Overpriced and over rated. Such a shame, as it used to be so good. Won’t be back! Great for pre concert and the free parking if you're having a meal it's a bonus as you're straight out after the event! Food very nice. Service excellent. We look forward to returning. A lovely restaurant and close to the hydro. was a little bit disappointed that there was only a pre theater menu avalible and no choice for just one course. So was more expensive than I would have liked. Food good, service great overall a nice place to eat. Hi and thanks for your review. When shows are on at The Hydro, we need to serve the pre-concert menu due to the sheer volume of footfall, this enables all of our guests to be served in a timely manner before departing for their show. I'm glad to hear you enjoyed your visit. Nice enough meal but was there last year on the same day and found that the menu hasn’t changed. Hi and thanks for your review. There have actually been a number of changes to our menu in the last year. I'm glad you enjoyed your meal with us and hope to see you again soon. The food was delicious. Conveniently near the SSE Hydro. Limited drinks menu. The service was possibly to quick. Felt a bit rushed. Hello and thanks for your review. I'm sorry if you felt rushed - with the high volumes of footfall, we are well versed in making sure we serve all of our guests in a timely manner. We hope to see you again soon. A lovely pre-concert meal in a relaxed environment. Food as always was superb. We will be back soon. Hi Iain and thank you so much for your kind words. See you again soon! Very helpful and friendly staff, they managed to fit us in earlier than our booked slot which was appreciated before going to see a show. Food was tasty but smallish portions, however it was a pre-concert special price so can't really complain. Free parking was extremely useful. We will come again. We have been a few times, sometimes when something has been on at the Hydro etc and at others when it is quieter. Whether very busy or not service has always been exceptional, not rushed, or at least appears not to be rushed. The food is of a very high standard. We thoroughly enjoyed or meal on Thursday and despite it being extremely busy the noise level was not bad at all. Excellent pre concert meal at La Rotunda. We had 3 courses and all were delicious and perfectly presented. Very enjoyable pre-concert meal.. food very good and service not bad. Just need to make sure you leave enough time as was very busy. Very conveniently located for the SSE Hydro.